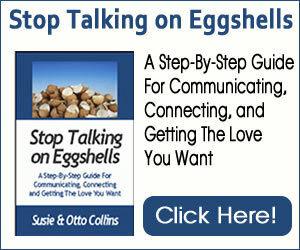 When it comes to our relationships, this is sometimes magnified many times over. Everyone has “points of connection” with the people in their lives–especially the people they love. If you didn’t, you wouldn’t be friends, lovers, married or even want to be in close proximity to that other person. These “connection points” are the places where we connect with each other at a heart, mind and sometimes soul level that seem to transcend all the apparent differences between the two of you and the things you want that are different. When you lose that connection with someone you care about, you’ve been focusing on one or more aspects of that other person that you don’t like, love or appreciate about them. 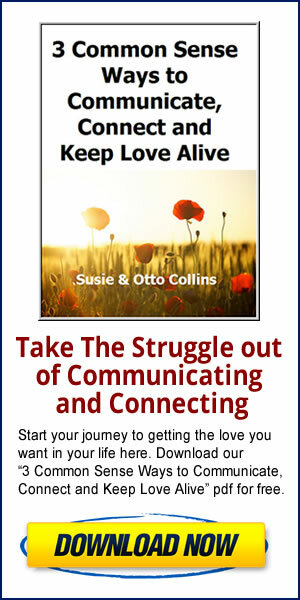 When you’ve lost your connection (and maybe even fallen out of love) with that other person, both of you could be focusing more on your disconnection than on where you connect. We know that situations and people can change throughout the years and sometimes, they grow apart and want different things from life. When your differences are a deal breaker, don’t make a flinch decision. Things change. Stay in the conversation by getting curious. Get neutral and get curious. Let go of the emotional trigger. Let go of things having to be a certain way for you to be happy and if you really are at odds with each other and it is a deal breaker, that’s good to know. If there are differences between the two of you, look toward where you can connect and in that place of ease, you may find a middle ground or a solution to what’s divided you–or the next step will become clear. We have someone we’ve know for many years in our social circle whose beliefs are very different from ours. In the past at various gatherings, we have certainly focused on what we find objectionable about him and his beliefs. But if we drop into love instead of judgment, we might find a connecting point with him through our past shared experiences. We don’t have to agree with him and we don’t have to stay focused on what we don’t like either. In our years together as a couple, we’ve learned to love through differences by letting go of our focus on where we’re at odds with one another and going back to the basics of what we love about each other and where we connect. We go back to the “glue” that holds us together. And when we do that, the anger and the “being right” attitude disappears. It’s at that point of ease where a new idea emerges and we can take a step toward a solution. Maybe we should do this with our friend!